In the GPAT examination, you will find fair amount of questions asked from the capsule section. Here in this section you will find the detail of formulation of hard and soft gelatin capsules. Capsules are defined as the solid dosage form which contains the drug substances enclosed in the hard or soft container usually made up of the gelatin. 1. Gelatin: It is prepared by the hydrolysis of collagen obtained from animal connective tissue. On hydrolysis, gelatin gives 18 amino acids (glycine and alanine most common). a) TYPE A (Acid hydrolysed gelatin): Produced by acid hydrolysis (Isoelectric point near to pH 9. TYPE B (Base hydrolysed gelatin): Produced by alkaline hydrolysis (Isoelectric point near to pH 4.5. 2. Opacifing agent: Titanium dioxide. a) Water resistance : Fails to dissove in water at 20 – 30 Degree c in 15 minutes. b) Acid solubility : dissolve in less than 5 minutes in 0.5% aqueous HCL at 36-38 degree Celsius. Rotary bottle Method is used for dissolution rate studies in capsules. In suspension that has to be filled in SGC uses wetting agent lecithin. The ratio of dry plasticizer to dry gelatin measures the hardness of the capsule shell. Hardness of gelatin shell: Dry weight of plasticizer/Dry weight of gelatin (0.4 = hard, 0.6 = medium, 0.8 = soft). 2. Preservatives: In the concentration of 0.2% and most common combination is a 4 parts of methyl paraben and 1 part of propyl paraben. 3. Opacifier: Titanium dioxide in the concentration range 0.2- 1.2 %. 4. 1% Fumaric acid: To increase the acid solubility and reduce the aldehydic tanning of gelatin. 5. 5% Sugar: To produce chew-able shell and taste. 6. Essential Oils: 2% for odour and taste. Iron and content should not be more than 15PPM. Various coating like salol, shellac, cap also modifies the solubility of gelatin. It is an empirical gel strength measure, molecular weight of gelatin , which gives an identification of the firmness of the gel. It is measured in a bloom gelometer, which determine the weight in grams required to depress a standard plunger ( 0.5 inches in diameter) a fixed distance into 4 mm deep into 6.66% w/w gel held at 10 degree c for 17 hr. Bloom strengths in the range of 150-280 g are considered suitable for capsules. 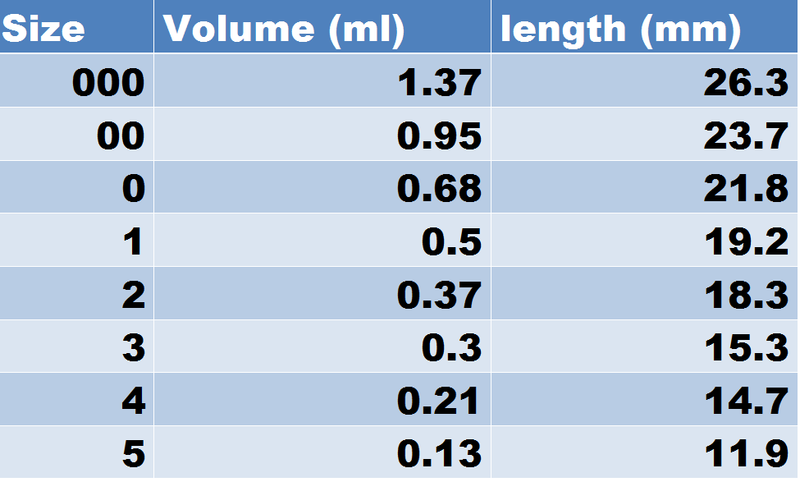 Viscosity is determined using 6.66% w/w of gelatin solution in water at 60 degree c using capillary pipette.The range Must be in 25-45 mill poise. 3. Sealing temperature of the gelatin film is between 37-40 degree C.
4. Minimum fill volume in capsulation is calculated from specific gravity of liquid. 5. Capsules at equilibrium with 20-30 % relative humidity at 21-24 degree C are considered by the shell of such capsule contains 6-10% water depending upon the gelatin formula used. 6. Moisture content of the shell is determine by toluene distillation method. Base absorption is defined as the minimum amount of base or vehicle in grams required per gram of solid drug to from a mixture which easily can be encapsulated in SGC.